Bank won't do, WE DO! Operation fund is critical component for business development. Right borrowing enables businesses to scale up and be in position to seize more business opportunities. We welcome clients from all industries and in all situations, whether driving for expansion or experiencing challenges in securing SME funding from banks. Our professional consultant team is always happy to be of assistance and work together to provide a solution just right for your needs. More cash, more opportunities, higher turnover! Trade financing is most often the Achilles' heel to most SMEs. SMEs are frequently unable to finance for business development via a suitable corporate loan or government loan scheme even after negotiating with banks over several months. (SME subsidy scheme in the market is usually complicated and long lead time. You may easily miss your opportunities when the loan is approved) Asia One Credit proudly launches Invoice Financing Loan, with flexible repayment terms based on each invoice, to resolve the trouble on your capital chain rupture, and to achieve win-win situation to both parties. Our professional consultant team tailors a flexible loan proposal designed to help your business to expand. Our simple and easy application never affects your TransUnion credit rating while engaging with banks usually does. The tailor-made repayment schedule and the expense-free early repayment enables you to maximise your return by most convenient and most appropriate corporate financing. Do you want to reconstruct old residential premises or old factories but lack of sufficient financing from a bank? Well then, talk to us! Besides financing, Asia One also provides you with a professional development plan. Designed exclusively for subcontractor, Subcontractor Construction Loan is our signature product. Moreover, it is simple to apply for just by providing a subcontract with a main contractor. The application procedure is straightforward and convenient. Better yet, the larger construction loan scale, the lower interest rate and the more flexible repayment plan. A Revolving Loan Programme for subcontractors to purchase construction materials was first introduced by Asia One. 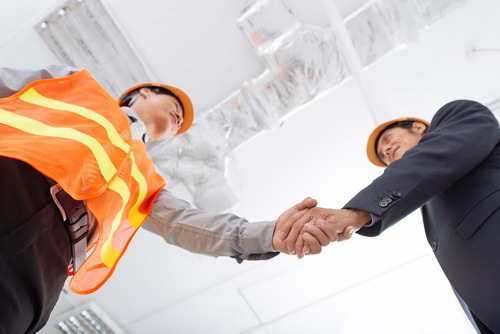 To benefit you only need to provide us with an invoice of Mattex (Construction Material e-Procurement Platform), the fellow subsidiary of Asia One. After opening a credit line, we shall immediately pay for the construction materials on your behalf! The loan interest is accrued daily, so that you can borrow and repay the loan at ease! Eligibility for the First Mortgage Plan is open for any kind of properties through a simple and quick application procedure, and the available loan amount is up to 80% of the property valuation! Now you can turn your property's value into flexible cash by using Asia One's First Mortgage service!